Senior-to-be quarterback Joe Hernandez, the starter last year at St. Paul, is now at La Habra a source said. Hernandez didn’t exactly light the world on fire last season for the Swordsmen, throwing for 716 yards and three touchdowns/three INTs. But then again, St. Paul was allergic to the forward pass. La Habra is looking to replace veteran standout QB Eric Barriere. Being second option is working out just fine for the La Mirada High School football program. 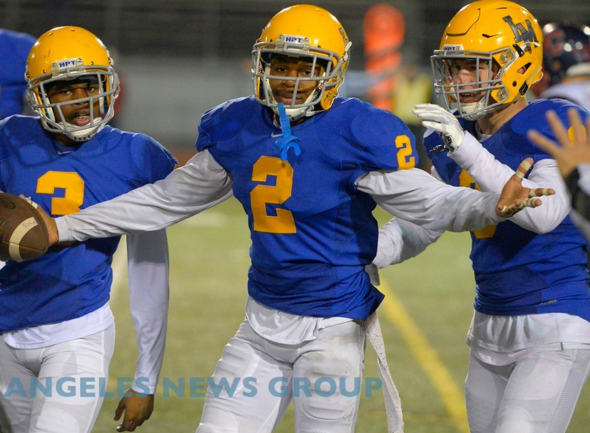 The Matadores have prospered recently with players who transferred into the program after previously standing on the sideline at upper division schools and this year appears no different. According to the CIF Southern Section website, La Mirada has already some impact transfers who look ready to help the school build on last season’s Southern Section and state championships. “There’s second and third string players at Servite, Mater Dei, St. John Bosco and Long Beach Poly that are standing on the sideline, and they come to La Mirada and become national recruits,” La Mirada head coach Mike Moschetti said. “And that’s a fact. That’s a testament to the programs that they came from. There’s big-time players not getting films. If there’s kids at these schools who are second and third-string players, we more than welcome them at La Mirada. They helped us win a state championship. And, La Mirada is free in terms of tuition. It all adds up to another good haul this offseason led by the Long Beach Poly duo of defensive end Kevin Smith and linebacker Cam’ron Chatman. Then there’s 310-pound defensive lineman Jonah Aumua from the state of Washington and defensive back Jamall Jones from Long Beach Wilson. It’s not like La Mirada even needs the help. The Matadores have six starters back on defense, including several with multiple college offers headlined by Elijah Hicks, who began his career as a back-up at St. John Bosco and now has 22 college offers. The Matadores will begin what’s become the highlight of their offseason program next week when “conventus” — a grueling early morning workout routine in the school’s gym takes place. Players are put through several, often vomit-inducing drills in hopes of building team unity. It’s also become a favorite for college recruiters making the rounds. “The players love it, the parents hate it,” Moschetti said with a laugh in reference to early start time. La Mirada opens the season with Division 1 contender Orange Lutheran on Aug. 26. 1. 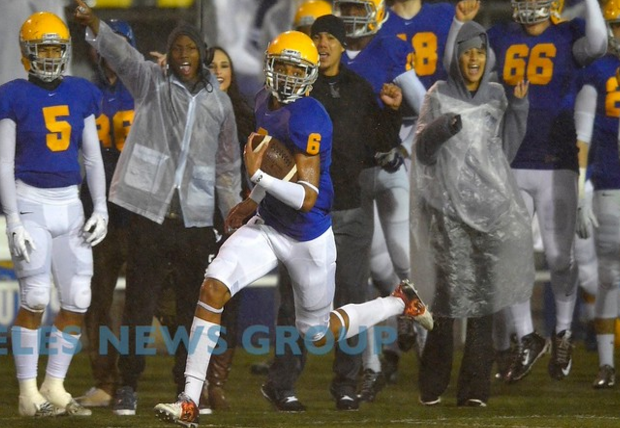 La Mirada — Veteran QB and several D-1 recruits back for state champs. 2. Bishop Amat — Program has a serious rebuild ahead. 3. La Habra — Some amazing seniors lost to graduation. 4. La Serna — Program just reloads. 5. St. Francis — Are there enough/any flashy skill players? 6. Charter Oak — Solid weapon to build around in WR Casteel. 7. Los Altos — Dream frosh class is now seniors. 8. Northview — QB Comstock and super weapon Ayers are back. 9. South Hills — New coach Bechtel will hit ground running. 10. Glendora — Lots to replace but always solid regardless. 12. St. Paul — Making good progress. 13. Muir — Mustangs may be back. 14. West Covina — Bulldogs due for way better luck. 15. San Dimas — Ground game should be great as usual. 16. San Marino — Don’t expect ’15-like numbers but still solid. 18. Diamond Ranch — Program has talent, but no stability. 19. Monrovia — ‘Cats always have talent. 20. La Salle — Expecting big things from Lancers. 21. Arcadia — Program made great strides last season. 22. Maranatha — Bogan has D-1 talent in Lang to work with. 23. Covina — Like the progress made last year. 24. South Pasadena — You’ll see. 25. Arroyo — Program is always solid. 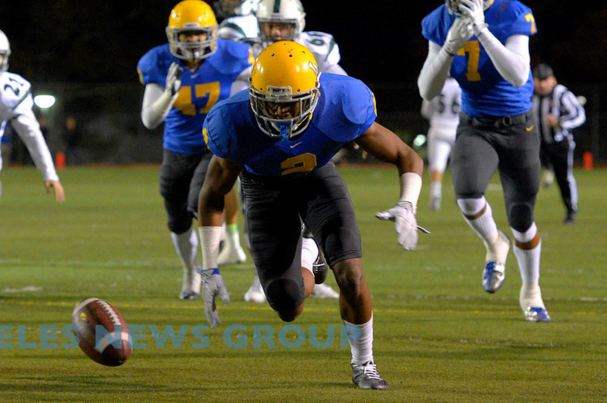 WHO WILL GIVE MATER DEI A BETTER GAME THIS FALL, BISHOP AMAT OR LA MIRADA? Week 0: Mater Dei at Bishop Amat — Last year’s game was very close. The Lancers had some key guys miss and made some mistakes, but were still in it. This year, Mater Dei is supposed to be Bosco or Centennial-esque. Meanwhile, Amat will be breaking in ALL NEW skill players in the first game of the season. At least the game is at Kiefer, which has been known to rattle visitors. Week 2: La Mirada at Mater Dei — The two teams met last year and it was 42-7 in favor of the Monarchs. Mater Dei is supposed to be even better this year. But then again, LM didn’t find its swag until much later in the season and has a veteran QB now with several D-1 prospects all over the field, too. By this point of the nonleague season, both teams should be humming. This is a road game for LM, though. And keep in mind the Mats will be entering this game off of games against O-Lu and SJB. This is murderer’s row as far as schedules go. Frosh-to-be phenom QB Khalil Ali headed to South Hills … what about the latest Vaughns brother? New South Hills football coach Matt Bechtel knows he’s already getting freak freshman talent in QB Khalil Ali, who is expected to compete for the starting varsity job as an incoming frosh this fall. But what about the latest in the lineage of Vaughns Family ballers? If Bechtel lands frosh-to-be super talent John Vaughns, then WATCH OUT! As of now, it’s not certain where Vaughns is going. Some say St. John Bosco. Some say South Hills where his older brother Geoff played. No one is saying Charter Oak or Bishop Amat, though, where his other brothers played. Bechtel is known as an offensive savant and has a penchant for developing good QBs. Getting Ali for all four years, if that’s how it goes down, could be scary. The Huskies frosh team went 9-1 last year (lone loss to Bonita (10-0)). Word is South Hills has lots of lower level talent coming up and coming in.